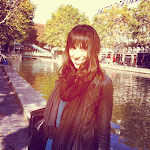 LaFleur de Paris: Peanut Butter and jell-BRIE ?? Children, hide your lunchboxes ! Peanut Butter and jell-BRIE ?? Children, hide your lunchboxes ! Peanut butter and jelly is a winning combination. 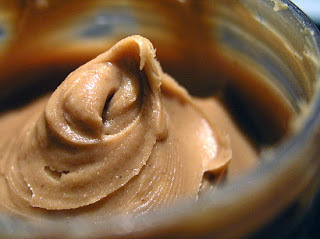 Peanut butter and honey – fabulous too. Some like peanut butter and banana – not bad either. But peanut butter and brie ? As the French say, “sacre bleu!” However, despite the ostensibly disgusting idea of mixing cheese and peanut butter, my favorite bakery (Eric Kayser organic bakery, rue Monge in the 5th arrondissement) is now offering the following sandwich: raisin bread with peanut butter, brie and tomatoes. “Are they joking?” I wonder as I glance at the small poster advertising the new special sandwich. Or, perhaps just a typo? 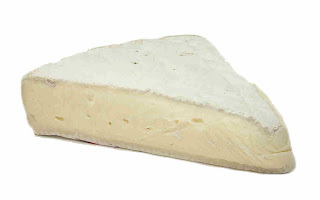 Just brie and…butter, the peanut-free variety? But no, they are in fact selling such a sandwich. The (French of course) lady working in the bakery confessed “I don’t like peanut butter myself.” Well, Madame, maybe that’s because YOU’RE EATING IT WITH CHEESE? She then added: “And I’ve heard people eat it with – gasp! – jelly! How awful…” Incredible. Have I entered the Twilight Zone? A place where a peanut butter and jelly sandwich is blasphemy, but where it’s quite acceptable to mix peanuts and brie, and add tomatoes no less. Who is to blame for this strange creation? Is it the product of the Americanization of France? 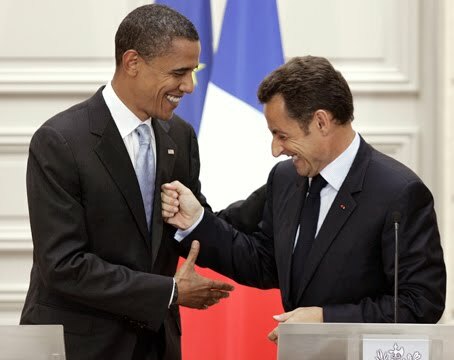 Is Sarkozy and Obama’s newfound friendship to blame for this strange mélange? Or is this sandwich actually a metaphor for Franco-American relations? The strong, rich , all-American staple peanut butter meets the delicious yet rather smelly French brie – just as the strong, rich, all-American USA meets the delicious yet rather smelly French people. However, it’s true – I have yet to taste this strange combination of flavors. My very-French friend has actually tasted the sandwich in question. His response? “It’s ignoble.” But could it be that these two things thought to be mutually exclusive, actually come together in perfect harmony? Commercialized, manufactured peanut butter meets natural, unpasteurized brie – it’s a microcosm of international import-export politics. First a sandwich, then…the world !